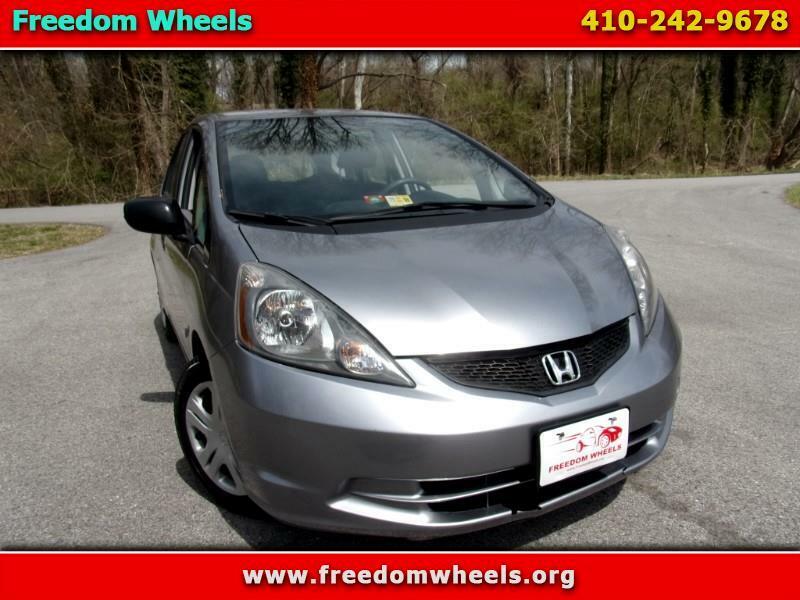 What a great little hatchback is this 2010 Honda Fit, five door! With the 1.5 liter in-line four cylinder motor and the easy shifting five speed manual transmission, it is a real kick to drive. The fit is rated at 27 local and 33 mpg highway. The fit accelerates quickly through the gears. The shifter is unbelievably smooth! This would be a great car for the commuter in the family or new driver that can handle a manual transmission. Will accommodate four adults with plenty of room in the cargo hold for a variety of stuff. Great little grocery getter too! STATE INSPECTED, AUTOCHECK ASSURED, with NO ACCIDENT DAMAGE! Freedom Wheels low price on this nice hatchback is only: $5,895! Quickly, call 410.242.9678 for more information or to book an appointment for a test drive. Sales tax and registration additional. Visit Freedom Wheels online at www.freedomwheels.org to see more pictures of this vehicle or call us at 410-242-9678 today to schedule your test drive. We do not currently finance. Freedom Wheels does not offer financing at this time.